After I started this blog, I saw that there were a lot of new bloggers who had been nominated, received, and accepted the Liebster Award, and I’m not going to lie, I was secretely jealous! Anyways, this past week I was nominated for the Liebster Award by Challenges101. Thank you for the nomination! 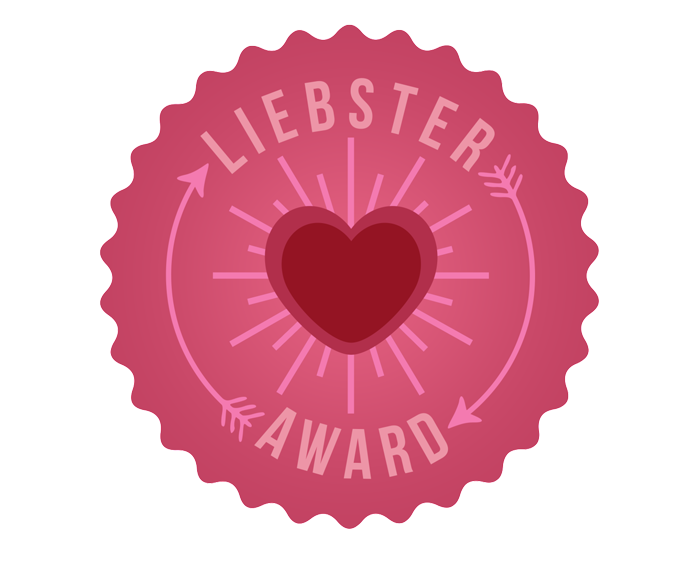 While there is no official rule page, Lorraine at Wording Well has provided a very thorough rundown of the different variations of the Liebster Award. 1.) Why did you decide to start to blog? To document my creativity journey…it is a never ending journey and I thought that by creating a blog, it would hold myself accountable to my readers. Also, I hope that this blog will someday develop into my non-profit venture (I’m not sure how though!). 2.) What is your favorite memory? I guess it would depend on the category, but I loved going to Venice (and other parts of Italy and Europe) after my high school graduation in 2007. People who aren’t afraid to do what they are passionate about. 4.) What is your current goal in life? I have many, but right now it’s to finish my Master’s Degree and remain consistent with this blog. 5.) How would you describe yourself? 6.) How much wood could a Woodchuck chuck if a Woodchuck could chuck wood? 7.) What do you do for fun? Right now, my blog is what’s fun. When people ask me that, I don’t really have much to say, hence why I started my blog, so that I could actually have something so say I enjoy doing, and to cultivate various talents and hobbies. 8.) What is your dream vacation? 10.) Do you enjoy running a blog? 11.) What do you plan to do now? After I post this? Write my link up post for Lovely Letters and thank Ashley for her wonderful package! 1. What’s the hardest part about blogging? 2. I can’t survive without _____. 6. Team Android or Apple (or neither)? 9. If you could go back in time, what year would you go to and why? 11. How do you sleep? On your side, stomach, back…other?? Spread the love and happy blogging!